In the modern world, it looks like the only place youngsters can derive leisure is from video games. Today’s technology has taken most of the traditional activities from the outdoors and put them into the computer, including the games that most adults used to play outdoors as kids. The closest most kids come to playing soccer, for example, is when they play FIFA on their consoles. If you introduce your kids to some exciting skills, however, you can actually get them to say ‘forget FIFA19, getting out is more fun and enjoyable. 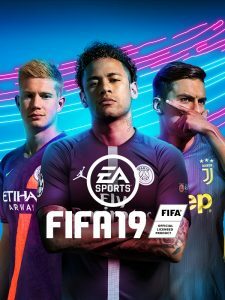 It really doesn’t sound like a modern kid can forget Fifa19 but they can still accept real soccer as an equally exciting playing model. Here are some skills a trainer can introduce to keep soccer beginners interested. This is basically juggling the ball with the player’s feet. It can be done by individual players or as a group. When done individually, it presents the challenge of maintaining concentration and improves ball control. When done in groups, it builds on these individual skills by sharpening passing and teamwork. The competitive nature of the game when players keep the ball up separately make it exciting, while not wanting to bear blame makes them keen when playing in a team. Keepy-uppy should, however, be played once players have gained basic skills so they don’t get frustrated and uninterested. This is arguably the most exciting bit of soccer trickery, both for beginners and experienced players. It just feels nice to cleverly sneak the ball through your mate’s feet and leave them painted with embarrassment. This skill can be great to get beginners to improve agility, react fast and also keep an eye for space. Nutmegging can be made more interesting by introducing playful punishment for a player who gets nutmegged. The guilty player may be punished by having to make a run or being chased by teammates until he/she touches a particular spot within the training ground. This is a skill that involves setting a target and having players take aim with shots. The target can be a goalpost or a brick wall. It teaches players to take aim and also improves their shooting ability. Teamwork can also be improved where players slam the ball at an angle so that it bounces back to a teammate. This is a skill that introduces competitiveness and nurtures dribbling among players. It is only possible with several players available and is especially a great way to evaluate beginners. ‘Catch me if you can’ is basically a race that involves running with the ball at a player’s feet. The players get to dribble through obstacles (usually cones and field markers) and run through open spaces. The variant of challenges helps to identify what the strengths and weaknesses of individual players are. For example, a player may appear to struggle when dribbling in a straight line but then catch up with other players when they get to weave around cones. These exciting games can be a fun way to get kids off the couch and peak their interest in soccer. They not only benefit the kids physically but also make it possible to identify talented players. Playing these games also gives the trainers a chance to evaluate the various aspects of individual players’ games that they need to work on.